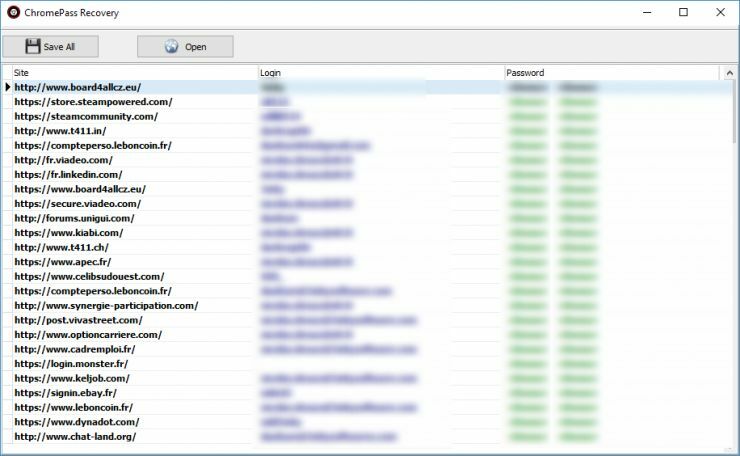 ChromePass Recovery can view the login username and password information stored by the Chrome web browser. It shows the site the information is stored for, then the login and associated passwords. You can easily copy this information to the clipboard or export as text.